CME Chief Executive Reg Howard-Smith presented the awards at a breakfast ceremony, attended by more than 1,000 people. The event also featured a panel of industry leaders and experts discussing how to gain competitive advantage through gender diversity. The awards celebrate the inspirational women we have working here in Western Australia, men and women who are champions for gender diversity and the efforts of companies in the sector to improve participation of women in our workforce. Over the past two years Atlas Iron has had clear objectives to improve diversity and the work environment for its women through the establishment of the Women in Atlas initiative. Women in Atlas has representatives from across the business including a cross-section of geographical regions, work types and levels. The group actively provides opportunities for women to help themselves and others to grow personally and professionally through leadership, education, mentoring and networking support. The Women in Atlas group has driven awareness of gender issues and increased diversity at Atlas. They have consulted widely, identified initiatives, developed action and implementation plans to achieve objectives around pay parity, paid parental leave, mentoring, company-wide female participation, participation of women at leadership levels and networking for women. Margeaux Janenko is a talented female tradesperson and passionate advocate for social change. Working as an Electrician at Chevron’s Gorgon site for Kentz Engineering and Contracting, Margeaux maintains a positive energy during a demanding work schedule. Away from work Margeaux is an enthusiastic volunteer ambassador for female tradespeople in her role as board member for the Western Australian based not-for-profit TradeUp Australia. As one of the few female tradespeople on the extensive Gorgon project, Margeaux stands out through her high quality of work. Margeaux also stands out in her electrical trade by possessing a unique combination of specialised qualifications which include hazardous areas and rope access. These skills are highly desirable for current and future resources projects in Western Australia, and by having the foresight to gain extra certifications in her field, Margeaux has proven to be an example of the capacity for females to thrive in the resources sector and become leaders in their trade. Bronwyn Barnes’s 15 year mining career has included roles at companies from BHP Billiton to emerging juniors in director, leadership and operational roles. She has a passion for the industry, and an outstanding track record of ensuring effective corporate governance, winning government endorsement and approval and driving equity for Indigenous people. She has steered major projects from exploration through to operation, and connected the Western Australian resources sector with international mining investment. Bronwyn holds a number of director positions stretching beyond the resources sector which reflect her interests in corporate governance, Indigenous affairs, education and political life. Bronwyn actively promotes women’s involvement in mining and she mentors and supports other women to participate in the resources sector. Kalpana Maharage is an accomplished Mining Engineer. She was selected for Rio Tinto’s graduate program in 2009, and within a year of completing the program achieved a promotion to Superintendent with Rio Tinto Iron Ore’s Greater Paraburdoo mine operations. This promotion made Kalpana, at 26 years of age, the youngest operational Superintendent on site. In the year between finishing her graduate program and progressing to Superintendent, Kalpana undertook the role of Shift Coordinator where she managed a production crew of 30 male Operators. She was not only the first female to undertake this role, but also the youngest. In addition to her role as a frontline operational leader, Kalpana has established herself as an active community member in the Pilbara town of Paraburdoo, where she resides on a permanent basis. Kalpana’s work ethic and leadership style clearly aligns with Rio Tinto’s core business values of respect, integrity, accountability and teamwork. She has demonstrated throughout her career to date that she isn’t afraid to take on new challenges, and takes every opportunity to learn from others. Linda O’Farrell is a senior human resources executive with 18 years’ experience in the Western Australian resources sector. During her career Linda has helped break new ground for women in leadership, holding executive roles for leading resources companies including BHP Billiton Iron Ore and Mount Gibson Iron. 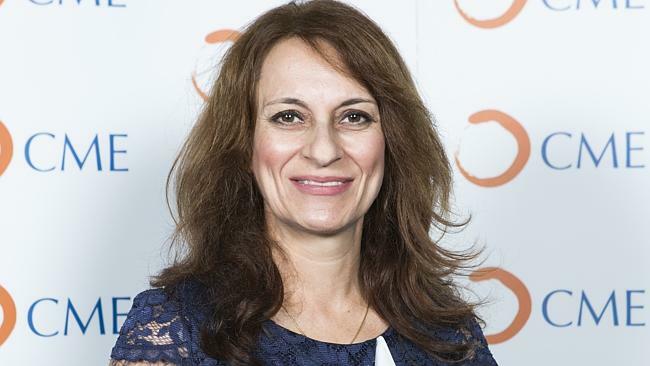 She is now leading the People function for Fortescue Metals Group (FMG). In each of these roles Linda has championed women’s growth and development in the sector, by speaking at industry and diversity events, participating in studies and committees with an interest in people and diversity issues, and supporting diversity networks and working groups. Being a working parent with two young sons, Linda understands there are real challenges in supporting family and work needs. She has inspired women to take on the challenge through sharing her story, implementing flexible work practices for men and women, promoting and mentoring women and celebrating their contributions through awards programs and providing leadership development opportunities. Geeta Thakorlal has had a highly successful and inspiring career spanning over four continents. She has 28 years’ experience in the oil and gas industry and has held various project and management positions. With a proven track record of leading specialist teams of engineers and scientists to deliver significant and measurable outcomes despite challenging circumstances, Geeta is an exemplary advocate for a fulfilled career and family life. She is passionate about transferring her knowledge and mentoring others to recognise and reach their professional and personal potential. Geeta mentors talent both locally and abroad and is a mother to two children. A Brisbane woman who didn’t imagine working in the resources sector when she left school, has won top honours in Queensland’s prestigious 10th annual Resources Awards for Women. Janette Hewson Director, Services, Supply Chain Management for Peabody Energy Australia won the Exceptional woman in Queensland Resources Award presented today by two newly minted Queensland Government ministers. Hewson began her career in 1995 after graduating with an arts/law degree, specialising in advising mining and energy clients. She later joined Peabody and led internal legal and sustainable development teams before taking up her current role, which controls hundreds of millions of dollars’ worth of spending on services for the company’s operations. Hewson has three children and credits her ability to rise through the ranks to supportive employers and family. “In the early years of being a working mother I felt guilty about not being with our children all the time”’ she said. “Over time, I have become content that I can still be a good mother and enjoy a high-pressured role that involves travel. My husband and children are terrific supporters of me. Jacqui McGill who was the first female appointed as an asset president by BHP Billiton Mitsui Coal (BMC), has been named Gender Diversity Champion in Queensland Resources. A Weipa woman who has paved the way for more females to take the controls of giant haul trucks, has been recognised in Queensland’s prestigious Resources Awards for Women. Julie Stainkey, Crew Leader for Rio Tinto Alcan’s East Weipa mine operations, won the Outstanding Queensland Tradeswoman/Operator/Technician category in the 10th annual awards, presented by the Queensland Resources Council (QRC) and Women in Mining and Resources Queensland (WIMARQ). Julie is presented with her award by from left QRC President Rob Neale, Minister for Women Shannon Fentiman and Minister for State Development and Mines Dr Anthony Lynham, right. Pictured from left are Rosalyn Mann, Wesfarmers Curragh, Albert Hegarth SalvationArmy Employment Plus and Penny Hamilton Thiess. This entry was published on 10th March 2015 and was updated on 7th March 2019 / admin. Posted in Awards and tagged 10th annual Resources Awards for Women, Women in Resources Awards - CMEWA. Bookmark the permalink.